From Lake Ulaid, ‘the last true sick boy of professional wrestling’ Rory Coyle has had a huge 2018. When he wasn’t producing video nasties, Coyle made an impact at Defiant, debuted at PROGRESS and captured the NORTH Heavyweight Championship in the last 12 months. 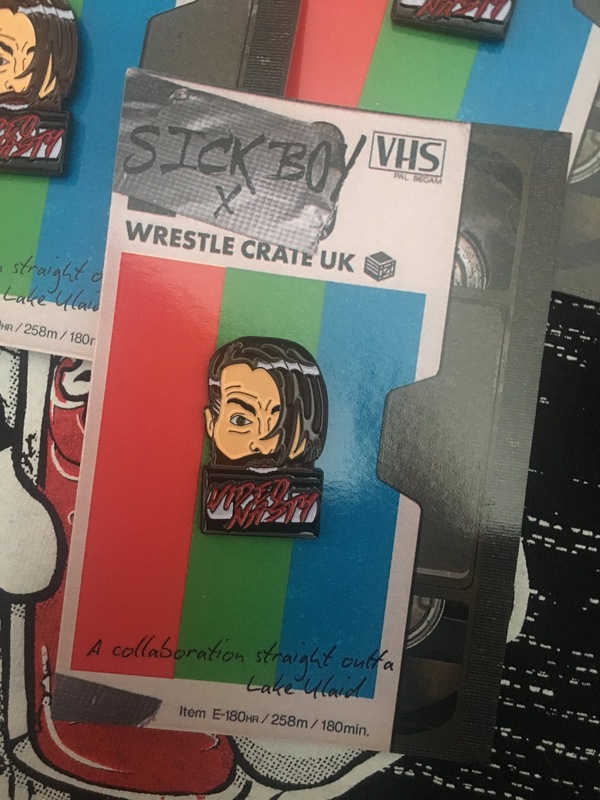 3cm officially licensed lapel pin on VHS-style backing card.